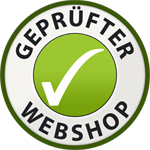 The conditions apply to all contracts, supplies and products of "Get Grocery GmBH" Online Shop. International University 9/1, 76646 Bruchsal. the contract comes through renouncement of the customer of the entrance of a notification of acceptance in accordance with § 151 S. 1 BGB by acceptance of the order by "Get Grocery UG" on-line Shop. Once an order is placed customer gets confirmation via electronic mail about the order. - necessary data (payment means, address, etc..) is missing. a) We supply within the Federal Republic of Germany. a) All the prices as displayed includes the legal value added tax. Packing and forwarding expenses are additional. b) Price increase is only possible with timely legal notice in case conditions to fulfil the contract changes between the order payment and order fulfillment. If the article ordered is not available in appropriate quantity or not available at all, we reserve right to cancel the order and return back the customer’s money. In such cases the customer will be informed immediately about the delay or cancellation. b) If there are changes in article composition or deformations, which are to due to the improvement of the technology and/or to demands of the legislation, as well as changes in mark or quality during the delivery time, if the changes are for a conclusive reason, and the is not substantially the delivery of a modified similar article is permitted. a) There is standard delivery charge of 4 € for all the orders to be delivered in the Federal Republic of Germany. b) If an order is rejected by the customer or sent back to us because of wrong address given by him/her, the shipment charges will be borne by the customer and not Get Grocery. a) There is a no minimum purchase order value for standard shipment orders. a) Currently Orders can be placed via internet only. a) If the article is available in stock, the fulfillment of order takes place within 2 to 4 working days. a) Payments are possible using direct debit, by Pay pal, credit card, direct bank transfer. c) We will dispatch your order as soon as the amount our account is credited. a) The data necessary for the completion of an order is stored electronically. The customer hereby expresses his or her agreement. a) Area of jurisdiction is Bruchsal or another legal area of jurisdiction as per choice of "Get Grocery GmbH", as far as the customer is a buyer in the sense of the commercial code or a body of the public right.